It’s 1975 all over again – for the Chevy Camaro. 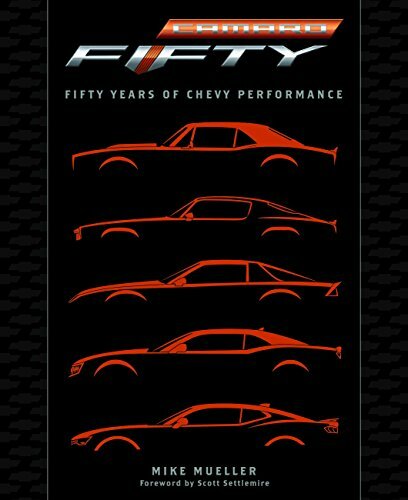 That year, there was no Z28 and the next year there was almost no Camaro. Chevy – GM management – came very close to cancelling both the Camaro and its sister car, the Pontiac Firebird, because of wilting sales. Things are much worse now than they were back in ’75. So far this year, Chevy has sold 29,551 Camaros. In ’75 – a bad year for Camaro – 145,770 were sold. The more relevant figure to GM’s current predicament may be last year’s sales – which were more than twice this year’s – 67,940 cars sold. There are still four months left in this year, so it will probably not be that bad by the end of the year, but it is still bad enough. GM is publicly worried enough that it has announced it will be cutting the 2019 Camaro’s price by $1,000 to $25,995 and offering a new and lower-cost 1LE Turbo performance package to go with the four cylinder engine that is the current Camaro’s standard engine. GM believes this will make the Camaro more competitive with the Ford Mustang, which also offers a turbo four – and outsells the Camaro dramatically. So far this year, Ford has found homes for 48,362 Mustangs. That’s a difference of almost 20,000 cars so far and no small thing. Dodge is also selling more Challengers than Chevy is Camaros – and the 2018 Challenger is the same car, more or less, as the 2008 Challenger. It hasn’t been significantly updated in a decade while Camaro has been radically updated just recently. But that brings us to the Camaro’s problem – which isn’t really a sales problem. It is a Camaro problem.